Listing courtesy of Kathryn Bentzen (CalBRE #01091411), Compass. Views abound from nearly every window of this light-filled home in the guard gated community of Bell Canyon. A serene front garden greets you as you approach the front entry where once inside you will find a two-story foyer leading you into the open living space. The living room, dining area, and gourmet kitchen flow seamlessly together creating the perfect space for entertaining. Glass doors open to the large and newly renovated patio with amazing views of the surrounding mountains and Bell Creek. The main level of the home is complete with a Den/Media Room and an office. Upstairs you will find 4 bedrooms including the spacious master suite with cathedral wood ceilings, 2 walk-in closets, private balcony, and bathroom with dual vanity. 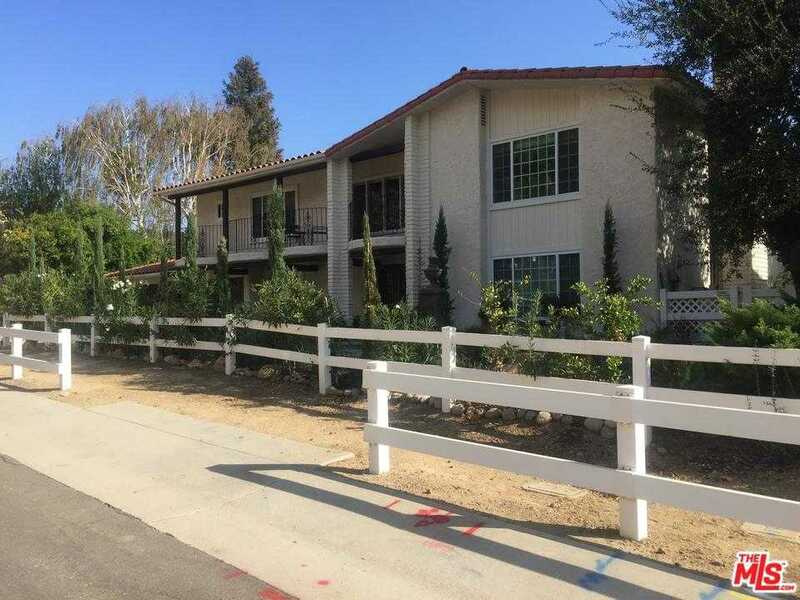 This property is in the award-winning Las Virgenes School District and is wonderfully situated on one of Bell Canyon’s flattest cul-de-sac streets enjoying easy access to the Equestrian Center, Fitness Center, Tennis Courts, and more. Building size: 2865 sq ft.